Sometimes, cooking on holiday, even a simple and fast, it happens that not all ingredients, or tools, are at hand. One arranges to reinvent the missing ingredients. 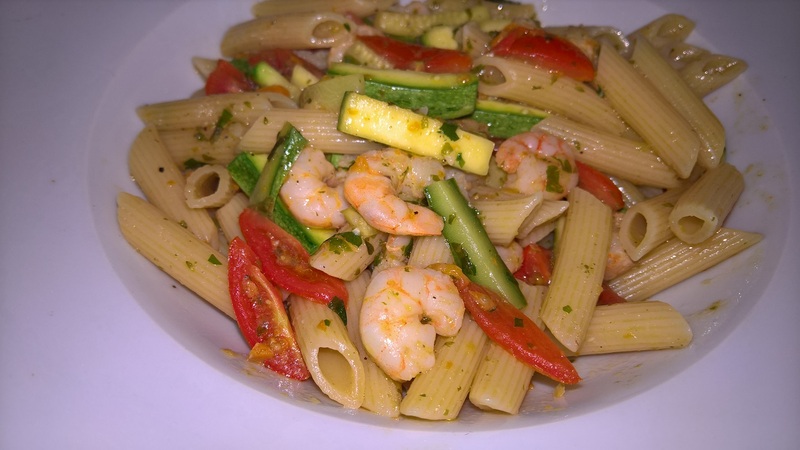 As in these half-year zucchini and shrimp revisited! This article is dedicated to those who, like me, on vacation, do not like to go every day, morning, noon and evening, at the restaurant. although the excellent sandwiches for a trip are never to be overlooked. In short, those who like to alternate the cuisine and restaurants typical of where it is at something simple and prepared by itself. and instead of repeating the same dish heated the next day is always a good idea to use what remains for the excellent stuffed pasta! Here is a recipe for a dinner for two, tasty but delicate. Without detracting from the fact that it can be prepared for a lunch with friends in which you want to present a set of different flavors and colors that complement each other. The final touch, given by Cherry Tomato Confit, gives a special taste to the dish. and if instead of usually roasted did I prepare myself to taste of pork?